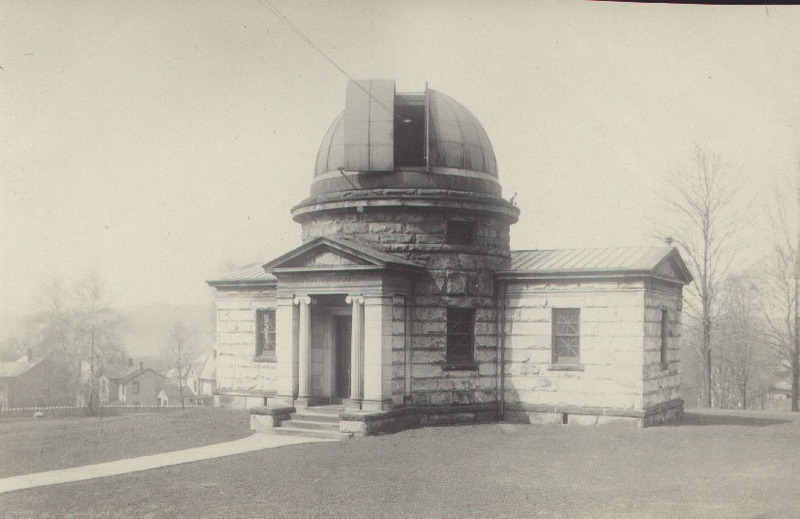 Newton Memorial Observatory was constructed for Allegheny College in 1901 under the guidance of Mary Newton, who commissioned the building to honor her late husband, Captain Don Carlos Newton and to expand the culture of Physics education and Astronomy on Campus. 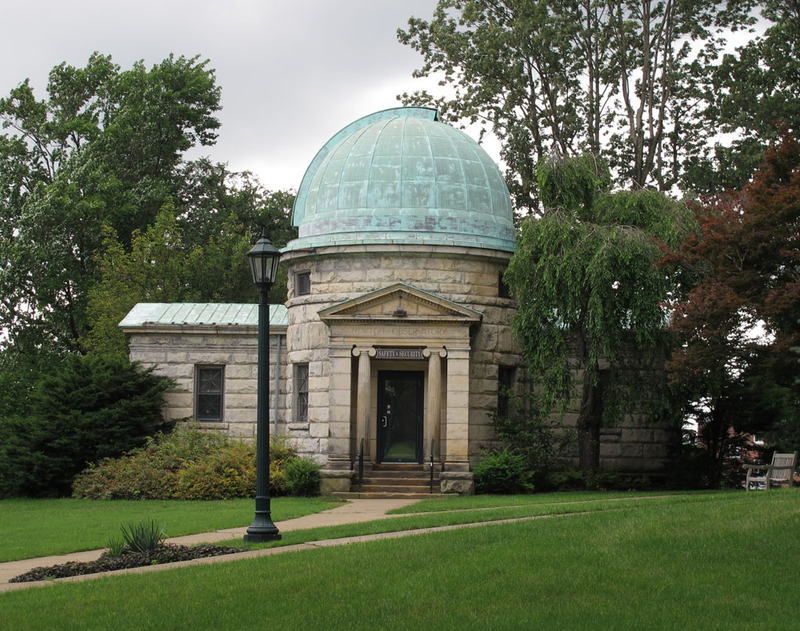 The observatory was built out of Cleveland Sandstone and its dome, which turns a full 360 degrees for full access to the sky, out of copper and rubber. The structure was designed by Chicago architect M. H. Church. Captain Don Carlos Newton was born in Alexander, NY on August 26th 1832 and died on October 8, 1893. He attended Allegheny College for the year of 1848-49 and married Mary Prindle on October 27, 1853. In his life he was a respected individual admired for his business skill, philanthropy and devotion to community. 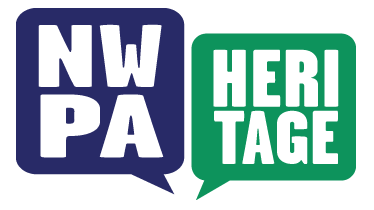 After a year at Allegheny, Newton left college to work with his father at their Attica factory. This factory burned down in 1854 and the family, forced to begin anew, moved to Batavia, Illinois where they established Newton Wagon Manufacturing Company. In the Civil War, Newton enlisted in the Union Cause in the Illinois 52nd Volunteer Infantry, where he was promoted to Captain in December 1861. In 1879 Newton’s father died and Newton assumed the presidency of the now very successful wagon company, visible in the increase in sales from 72 wagons, buggies, and carriages in 1855 to 4000 vehicles by 1887. Newton made a generous donation enabling the construction of the stone Methodist Episcopal Church in Batavia. Newton also helped to organize the First National Bank of his community in Batavia, and served as its president up until his death. Mary Newton suggested construction of the Observatory to President William Crawford in 1899. At this time, her familial ties to the College were strengthened by the graduation of her nephew from Allegheny College and by the marriage of her niece into the Crawford family. 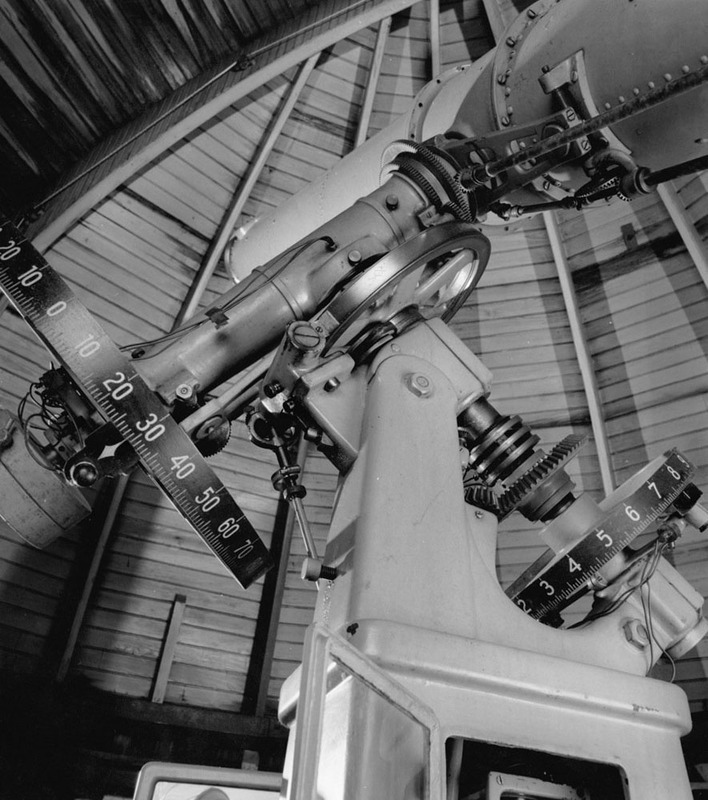 To this day the Newton Observatory piques student and community fascination with the sky. The upper level houses an equatorially mounted telescope with nine-and-one-half-inch objective lens, and is used primarily by faculty and students for Astronomy classes. The space is also open to the Meadville community for viewing the stars during the fall and spring. The lower level is currently the Office of Campus Security. 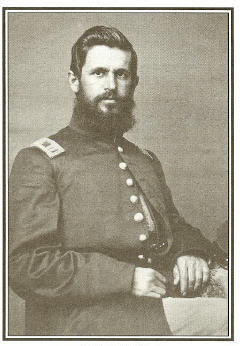 Captain Don Carlos Newton: Newton served as a captain in the Union Army from 1861 until the end of 1864. His widow Mary Prindle Newton also funded the Newton Monument in the West Side Cemetery in Batavia, Illinois, erected in 1918 to honor those Batavians who served during the Civil War. ~ Source: Image courtesy of the Batavia Historical Society. Genesis Valencia, “Newton Memorial Observatory,” NW PA Heritage, accessed April 26, 2019, http://nwpaheritage.org/items/show/8.